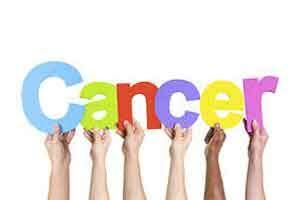 New Delhi: Indians tend to ignore or misread the early symptoms of cancer, which delays diagnosis and treatment until the problem has become less amenable to medication, said a group of oncologist surgeons. Early indications of prostate cancer in men, for instance, such as reduction in urinal frequency, reduced stream of urination and urinary retention, are mostly ignored, they said in a statement here. “Each kind of cancer has its symptoms which, if ignored, can lead to worsening of the cancer to a stage where medication usually does not work,” the doctors said. Blood in stools, black coloured sticky stools and blood in vomit indicate the development of colon or intestinal cancer, the doctors said. “Similarly, scrotal swelling are one of the symptoms of testicular cancer, which is curable only in the initial stage,” said Meghal Sanghavi, Consultant Oncology Surgeon, Wockhardt Hospital in Mumbai. Early symptoms tend to be mistaken for minor infections but if the patients get the biopsy done then the diagnosis can be easily done, Sanghavi said. Cancer is becoming an epidemic all over the world. All types of cancer are on an increase, with oral and prostrate cancer becoming more prominent in Indian men. Sanghavi said that gall bladder cancer is most common in Uttar Pradesh and Bihar. Mizoram and Pondicherry has the highest incidence of oral and neck malignancy. Stomach cancer is more common in men in Karnataka, Tamil Nadu and Andhra Pradesh, while lung cancer is high in the men in Delhi and Maharashtra. “Self medication is what aggravates the problem. Men in India go for some ointments which are applied locally on non healing ulcers for various types of cancerous wounds. For testicular swellings they usually apply langots (scrotal support),” Dhar said.